Apples are the quintessential Fall fruit. There are so many creative ways you can add apples to a dish. 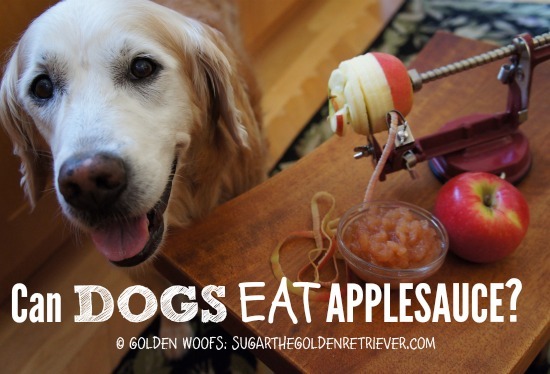 I love making applesauce and use it as an ingredient to make dog treats. Homemade applesauce is delicious and so easy to make. 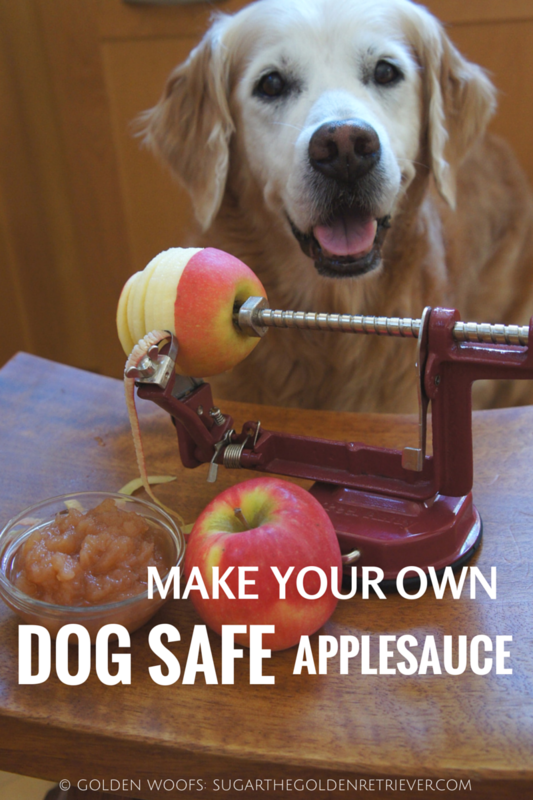 Make Your Own Dog Friendly Applesauce. In moderation, you can give applesauce to your dog as a treat. 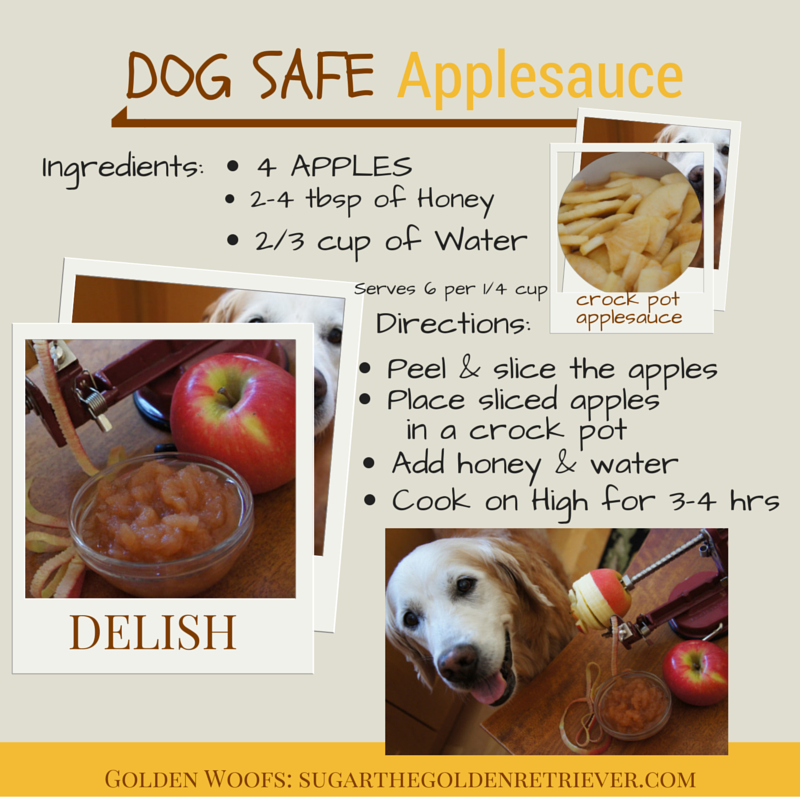 Use applesauce as one of the main ingredients in making healthy and delicious dog biscuits. The applesauce is going to be chunky. If you prefer a smoother applesauce, use a blender. Click Here for more information and rules of the Hop. It’s about time for a YUMMY treat. I’ve been such a good girl since my vet visit. Apples, Apples, Apples … are one of my favorite healthy treats. There are many kinds and colors of apples. Apples are a good source of dietary fiber and Vitamin C.
a very common ailment in large and purebred dogs. It is considered a healthy snack for it is low in saturated fat and sodium. and help prevent skin allergies (which I have). AVOID the APPLE SEEDS and CUT APPLES INTO BITE SIZE. Yes apples are healthy snacks but the down side is its “natural sugar”. Due to its sugar content, too much of it can lead to weight gain. Too much apples can also cause stomach upset and loose bowel. With all this said … Here’s the Apple Cinnamon Chips my mom made. WOW! My mom is a wanna be Top Chef. She made it really fancy this time. smudges of apple sauce on the edges. Mmmm, not really. I just want to eat it. That’s it! I want more. I have to watch my waistline (Just like my friend Sammie). Here’s the recipe … Enjoy! Place the apples on the baking sheet or pan. Another tasty treat that you and your dog can enjoy!